국보 제214호 흥왕사명 청동은입사 향완(2014년 국보 동산 앱사진). 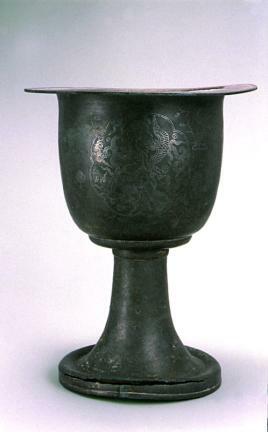 This normal bronze incense burner was in fashion during the Goryeo period. 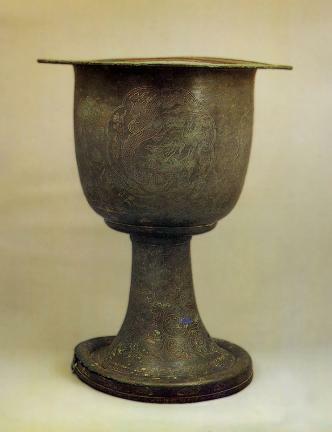 It is 40.1cm tall and 30cm in diameter. 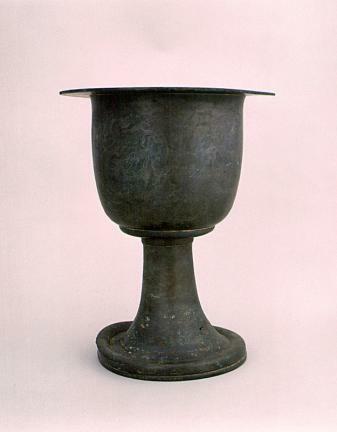 It is comprised of three parts: coater, body, and lip. The lip has a wide, horizontal, flat deck. The deck has beads patterns, the engraved patterns of lotus flowers and creepers, and plating silver. The body was carved into the window in the shape of a flower at a balanced position, silver gliding worked in representing the forms of a dragon and phoenix inside the window, the rest of the space filled with the engravings of reeds and lotuses, and a duck carved just below the wild goose (before silver gliding). The edge of the coaster was at first simple with two thick lines, and then it was washed with silver, the creeper pattern on top, herbs below it, and flowers on the bottom. Because these patterns were washed with silver, this burner is regarded as one of the great masterpieces for having not only the specialty of being a manufactured article, a great piece of porcelain, but also a beautifully well-crafted work for its pictures. Furthermore, the bottom of the coaster still remains in fine condition. 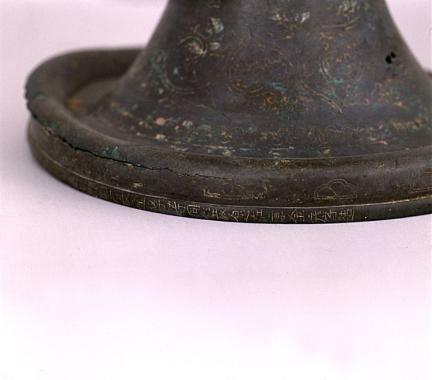 There are 34 Chinese characters on the bottom of the coaster, revealing the date of production (1289, the 15th year of King Chungnyeol) as well as where it was kept (Heungwangsa Temple in Gaepung-gun). 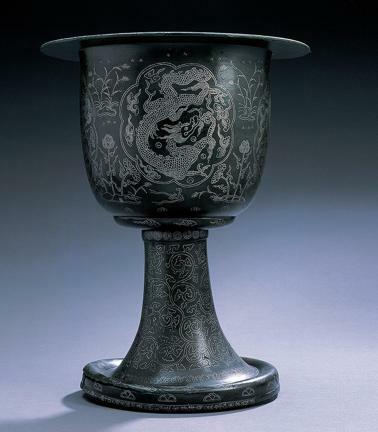 The exact date of production, mastery of silver gilding and dragon and phoenix patterns that were not used often at the time further add historic and artistic value to this piece of work.